It’s no secret that sugar is bad for us. Back in the early 2000’s, companies experienced a “sugar crash” of their own. Not the kind of sugar crash that comes after eating a big dessert. This sugar crash refers to the sales of soft drinks, yogurts, snacks and other sugar-laden items in response to a more educated consumer. Two things came out of the “sugar crash” – the expansion of artificial sweeteners but also the explosion of what are known as “natural” sweeteners. Now, we’re all aware of how harmful artificial sweeteners can be, but the problem with natural sweeteners is they all have different taste profiles, different sweetness values, and some may affect the digestive tract negatively. Because of this, we set high standards in choosing nutritionally sound natural sweeteners to incorporate into our products as every detail for each ingredient is thoroughly researched. As a natural and vegan brand, we share your concerns for choosing a sugar alternative. We want natural plant-based sweeteners that are superior in taste, texture as well as being nutritionally sound. Finding this isn’t easy, which is why we created two specific processes. One that helps us to identify and select ingredients. This is called Select Source™. The other is a method for blending the sweeteners and flavors together to get the perfect taste. This is called Flavor Pure™. Our obsession driven by these two processes has taken us on a journey throughout the world (which you can learn more about that here) visiting different cultures to find natural sweeteners that enhance the benefits of our products instead of limiting them. This quest took us all the way to Peru, where we knew we found a pristine source to include into our products that would completely complement our plant ingredients: Lucuma Fruit. 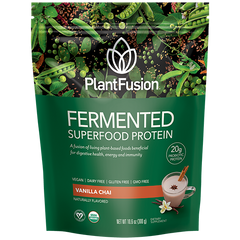 Lucuma is a real hero at PlantFusion because it’s helped us create truly healthy products that not only fuel your body, but also taste amazing. Massimo Bottura once said, "If you buy the best ingredients, you have to help the ingredients express themselves." That's the approach we take with our products. We're able to blend lucuma with other safe, natural sweeteners and ingredients through our FlavorPure™ process for the perfect balance of sweetness. It enhances and complements our other ingredients, in a nutritional sense and a flavor sense. Lucuma packs a nutritional punch with its high antioxidant content, calcium levels, and low glycemic index. It's a sweetener we feel good about, and that you can feel good about, too. A true hero! So you may be asking yourself, what is Lucuma Fruit? Well, Lucuma is a sweet, delicious fruit that grows throughout South America. On the outside, it looks like an oversized avocado, but on the inside, it has sweet, orange flesh that can easily be dried and turned into a delicious powder. This sticky orange powder has a very similar taste to maple syrup. Known as "Gold of the Incas," lucuma powder is used throughout South America as a topping for ice cream and a sweetener for desserts. Lucuma is the most in-demand ice cream flavor in Peru, and South Americans also value the fruit's healing properties. It has also been used as a natural antibacterial and antifungal remedy. This fruit has been viewed as a delicacy in this culture for centuries, preserving the Incas intuition for this superior sweet fruit. Unlike artificial sweeteners like aspartame, which taste sweet but have detrimental health effects, lucuma is as nutritional as it is delicious. Lucuma is packed full of antioxidants like beta carotene and vitamin C, which help strengthen your immune system and slow the aging process. There's as much calcium in a serving of lucuma as in a glass of milk — great news for anyone following a plant-based diet and may find it difficult acquiring adequate amounts. Along with calcium, lucuma contains 14 trace minerals, which are often lacking in diets based on overly refined, processed foods. Even other natural sweeteners, like stevia and agave, don't pack this nutritional punch. Another reason to love lucuma has to do with how it's digested and utilized in the body. So many other sweeteners (even natural ones like honey and agave) have a high glycemic index, meaning that your body absorbs them quickly, causing your blood sugar to spike. A spike in blood sugar is often following by a crash. Your energy levels plummet, and you feel hungry again soon after eating. Lucuma contains more complex carbohydrates and is low on the glycemic index. You digest and absorb it slowly, so you don't get those nasty fluctuations in blood sugar that leave you reaching for extra cookies. Unlike aspartame, sucralose, and other sweeteners that are created in a lab, lucuma powder is made simply from ripe lucuma fruits. The lucuma is dehydrated and ground into a powder, so when you eat lucuma powder, you are essentially just eating fruit. The sweetness from lucuma is more flavorful and natural, too. It will remind you of maple syrup, not of strange chemicals. Your body and your taste buds will appreciate the more natural approach! The flavor of lucuma blends deliciously with other fruit flavors and dessert flavors. Anyone seeking to follow a healthy diet without giving up sweet, delicious foods can benefit from lucuma fruit. However, there are a few types of people for whom lucuma is an especially excellent sugar replacement. Add a few tablespoons to pancake batter as a sugar replacement – the maple syrup flavor will help make them taste delicious, guilt free! Or add it to your protein shake……….WAIT A MINUTE, we’ve already done that! 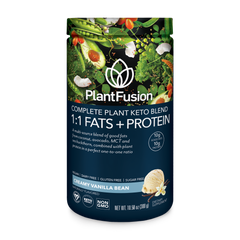 PlantFusion Complete Protein contains Lucuma fruit as one of its natural nutritive sweeteners. Try it today for free!